Renault's Tangier plant is expected to reach an annual production capacity of 400,000 vehicles. CASABLANCA, Morocco (Reuters) -- Canada's Linamar Corp. will build a 2.7 billion dirhams ($280 million) plant in Morocco to make engine parts, Morocco's industry minister said on Monday. Moulay Hafid Elalamy added that U.S. supplier Delphi will also launch a new factory to make electrical distribution systems that includes a r&d center. Morocco is accelerating measures to expand its supply base as it seeks to more than double vehicle production capacity to 1 million units by 2023. The North African kingdom also expects auto industry exports to reach an annual 100 billion dirhams ($10.2 billion) by 2020. A key part of that was PSA Group's announcement last year that it would start production at its new 557 million euro ($630 million) factory in 2019. PSA will have an initial production capacity of 90,000 vehicles but aims to boost that to 200,000 vehicles a year at its plant in the coastal city of Kenitra. 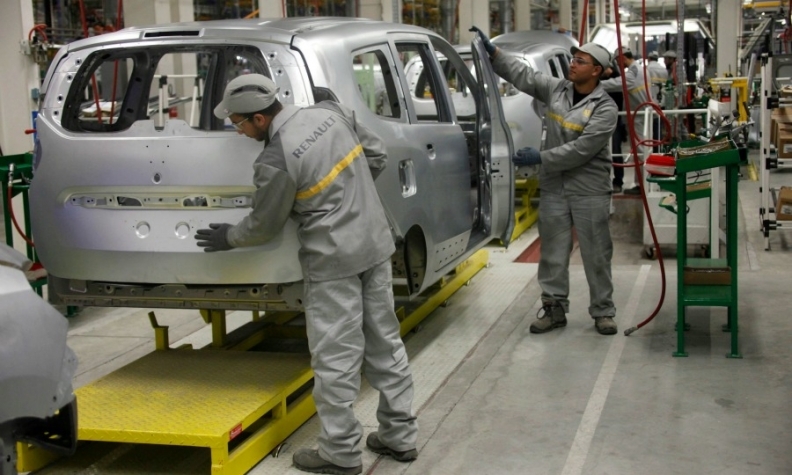 Rival Renault has vehicle assembly factories in Tangier and Casablanca. Unlike many countries in the region, Morocco managed to avoid a big drop in foreign direct investments in the wake of the global financial crisis and the Arab Spring uprisings of 2011, partly by marketing itself as an export base for Europe, the Middle East and Africa. Linamar's plant will start by supplying engine parts to the PSA factory before expanding to new plants. The Moroccan government would like to add two or more vehicle production plants to reach its 1 million units of installed capacity by 2023. "Delphi's investment is huge, some seven projects including a plant and a research and development center, but I can't disclose the investment amount," the Moroccan industry minister told reporters. The minister was speaking at a press conference where he announced Morocco's new investment charter to boost the country's emerging industry. Delphi has three plants in Morocco, where it employs about 12,000 workers.